Toronto in the winter is almost universally terrible, except for two weeks in January and early February during Winterlicious when restaurants decide open their doors and keep us warm with affordable prix-fixe meals. 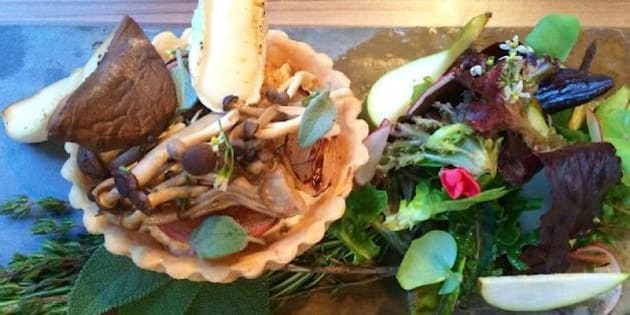 From $18 lunches to $45 dinners (and other price points in between), Winterlicious puts a lot of restos within our price range. This is the 13th year for the event, and over 200 eateries are participating this year — a long list to wade through if you're looking for a dinner spot. This year, instead of only focusing solely on the food we also decided to appreciate atmospheres, restaurant hype and booze. There's recommendations if you're going for a night out with the girls and for the best spot with live music. One warning, though: If you plan to eat at these restaurants between Jan. 30 and Feb. 12 but aren't interested in the prix-fixe menus, you may be out of luck — call the restaurant ahead to find out about dining volume. And for all of you Winterlicious-goers, you can start making reservations on Thursday. Here are our 15 picks of the year. Which restaurant will you try? Let us know in the comments below.